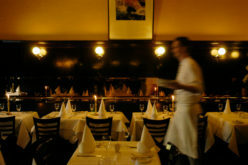 Restaurants now have a 45-day extension to institute changes to mandatory tip pooling. Previously, the deadline for changes was Dec. 5. The deadline is now extended to Jan. 19, 2017. Visit Washington Hospitality’s tip pooling page for all the latest updates, including a webinar from attorney Bob Donovan. 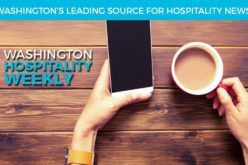 Don’t miss this week’s Washington Hospitality 2 Minute News Update. It is a great recap of last week’s news that matters to the hospitality industry, including the injunction on federal overtime rules, the 45-day extension for tip pooling and the rejection of a Seattle head tax. 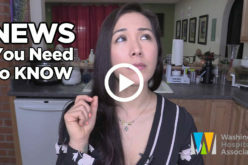 Watch the newest video in our Advisory Network series! Rick Braa, principal at AMP Services, tells you how to build sales at your restaurant. In this video, part three of five, he covers tactics for increasing your check average. If you want to watch all of the videos from the Advisory Network, you can find them here. Consultations with the Washington Hospitality Association Advisory Network is a free member benefit. If you have a question, contact your area coordinator and we’ll put you in touch with one of the Network’s industry experts. Attention: Spokane Chapter members! The Spokane Chapter Gala is almost here. Mark your calendars from 5–9 p.m., Jan. 24, at the DoubleTree Hotel for a silent auction, industry awards, music and mingling. Get your tickets for $50 a person before Dec. 31. Regular ticket price is $55 per person. For more information, including discounted table pricing options, contact Robyn Bruns via email or at 208.244.0601. The Washington Hospitality Association organizes Hill Climb and Taste Our Best each year. The annual event gives hoteliers and restaurant operators an opportunity to interact one-on-one with legislators. Throughout the day, members meet with lawmakers to discuss business outlooks, special challenges and to communicate the state of the hospitality industry. Later in the evening, the Taste Our Best legislative reception brings together the people of the hospitality industry and legislators for a night of great food and the finest beers and wines. Save this date: Feb. 6, 2017. For more information, contact Stephanie McManus. ProStart and Ecolab on This Week’s DineNW Radio Show – Listen Online! Don’t miss this week’s DineNW radio show, now online. Co-hosts Andy Cook and Paul Schlienz interview Genevieve Boushey, 2016 ProStart Scholarship winner. Andy and Paul then chat with Dave Lumberg, water solutions manager for Ecolab.